You guys. I’m a total apothecary freak. I just can’t help it, how adorable are these products?! The packaging is so luxe, and the products are even better. 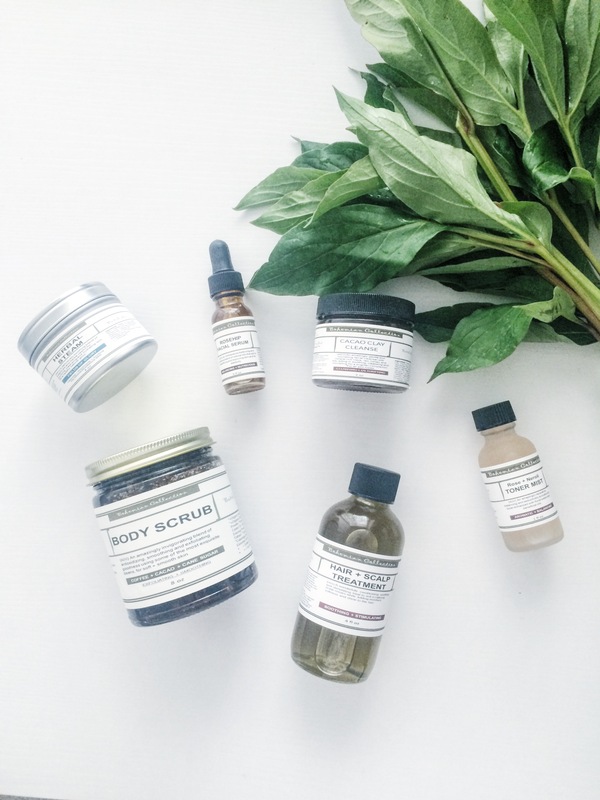 I was on cloud nine when Bohemian Collection sent me a beautiful package of their luxury apothecary products to share in exchange for my honest thoughts. You guys, they’re absolutely amazing. No joke, I couldn’t find one bad thing about any of it. It’s all per-fect. I can’t wait to discuss each product with you in further detail. This was the product that I featured in the sneak peek on my Instagram. This stuff is amazing. I found out that there’s a slight difference between cacao and chocolate a while back. I thought I’d try to make a healthier version of a brownie I found on Pinterest a while ago and the main ingredients was cacao. Off to Whole Foods I went. You guys, cacao isn’t what you think… it’s bitter. It’s not tasty. If you like the taste of chalk, then you’ll probably like cacao. Just being honest! Butttttt… come to find out, it’s amazing for your skin. I mean, think about it. You wouldn’t want straight up chocolate on your skin, just like how you wouldn’t dab sugar on your face. Ammiright? When picking out my lovely goodies, this was the most intriguing product to me. A cleanser… and a mask? Heck yes. I love taking off my face at the end of the night, and I love me my masks so this was just made for me. What I do is slab some on my face and leave it on for a good 15-20 minutes. I like to do this while I hop on my laptop, drink tea, and watch beauty tutorials. It’s officially my new night ritual that brings me to zen-mode. 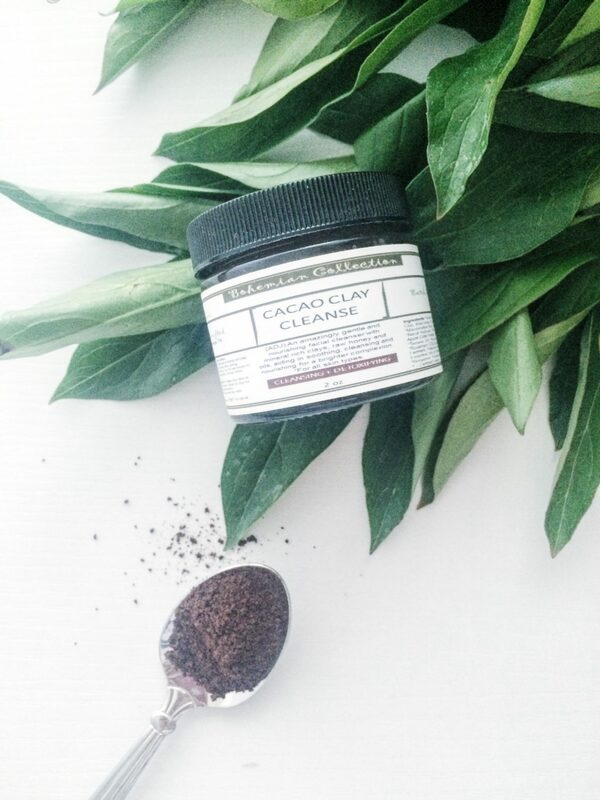 The cleanser starts to dry and harden into a lovely clay mask. You can immediately start to feel it working as it starts to tighten your face and slightly tickle. I could seriously do this all day. Once the 15-20 minutes are up (but let’s be real, I like to leave it on for even longer), then it’s time to cleanse! I take a small towel (I suggest a darker color so they don’t stain like white towels do), and start to rub it off with lukewarm water. 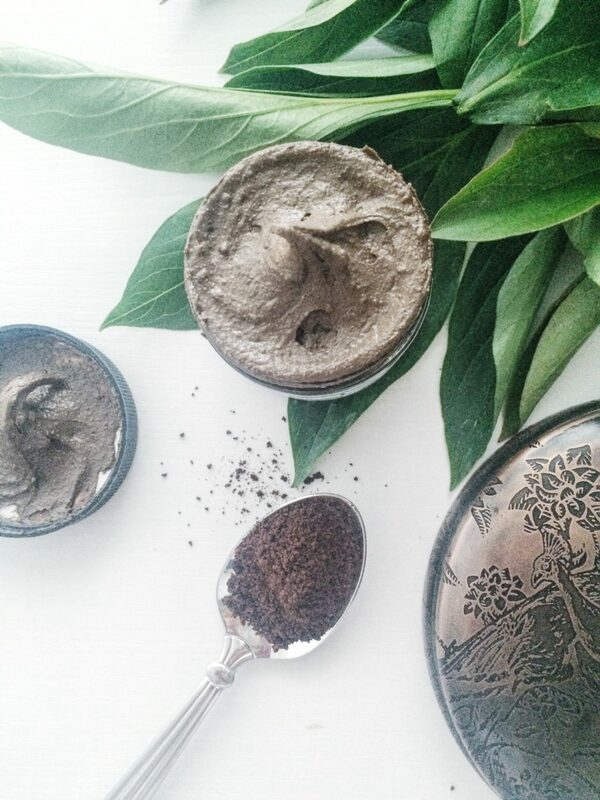 Once you gently rub off the mask/cleanser, your skin legitimately feels like a baby. It doesn’t leave that weird and dry “squeaky clean” feeling – it feels soft and rejuvenated. My pores instantly looked smaller and my skin had a natural glow to it. 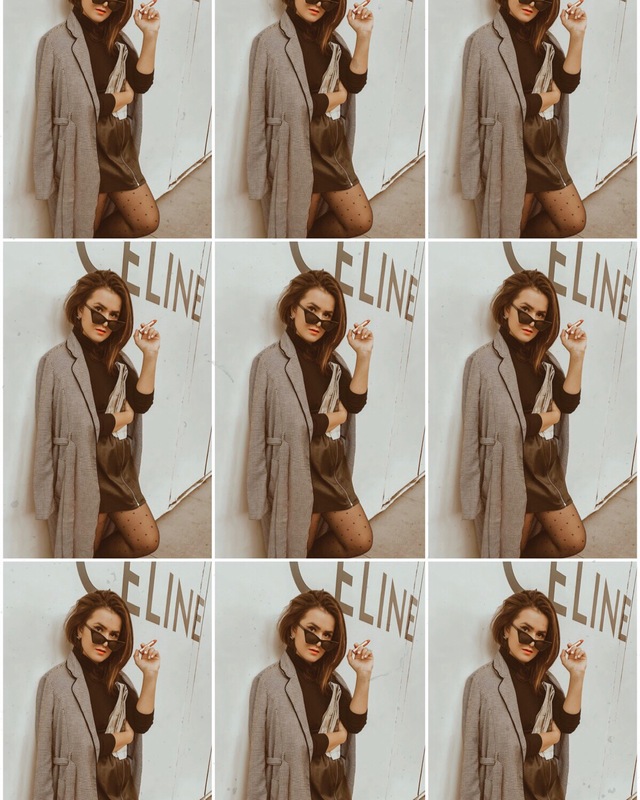 As you can tell, I’m obsessed – and a little amazed to be honest. This product is hands down the best-smelling of the bunch. The smell of rose lingers on your skin, and smells heavenly. The scent isn’t overpowering, which is good because you don’t want it to irritate your skin. The consistency is thick and oily, so you can really feel it absorbing into your skin – giving you the full benefit of the product. The color is a darker oil, which instantly shows in your skin when you apply it. I only use a couple of drops to cover my entire face, so a little definitely goes a long way. This can be the last step of your nightly skin routine – meaning no moisturizer is even needed. I love using this product at night, because it gives me an instant glow when I wake up in the morning. I have naturally pretty oily skin, so I avoid this in the morning as using it at night is more than enough for my skin. I do find that using this product has definitely helped in making me less oily throughout the day. It provides all the “good” oils that my face needs, so my face creates less of its natural oils in order to make up for it. I’ve heard of many people getting freaked out by putting oil on their face, but what I’ve learned is that oil actually fights oil – so if you have oily skin like me, you should definitely try it! 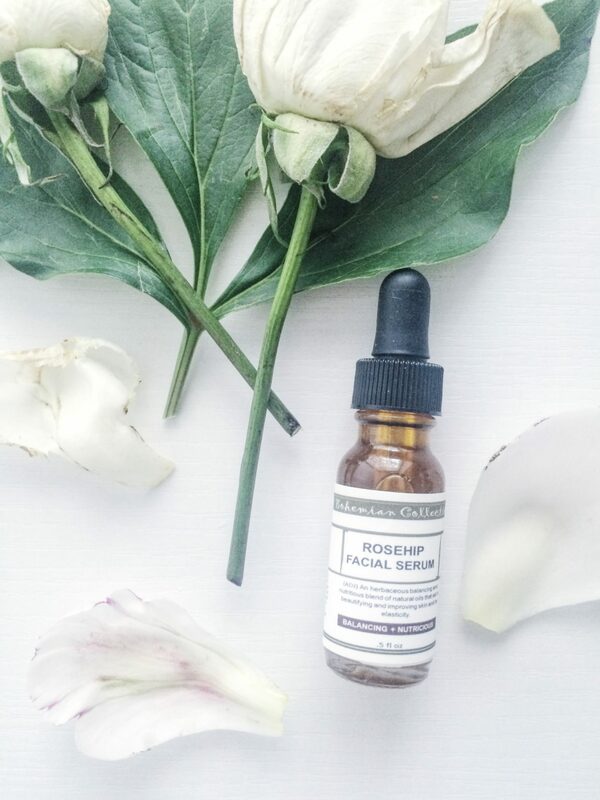 This product smells heavenly as well – very similar to the serum. A little goes a long with this guy too. I only need one spritz in order to cover my entire face. With toners that I’ve used in the fact, they definitely have a “sting” to it – considering they’re an astringent. Well what they don’t tell you is that astringents have lots of chemicals in order to give you that tingling feeling afterwards. This toner definitely doesn’t do that. 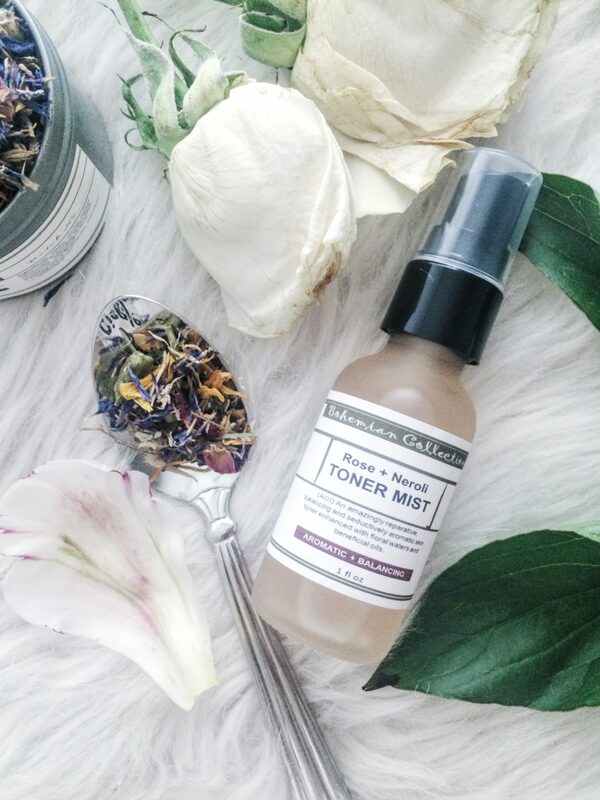 It strips your face of all the gunk you’ve accumulated throughout the day to prep your skin for the good nutrients and potions that you apply to your skin next. It’s super gentle and feels really pleasant. No tingles, no worries. This isn’t the traditional use of a toner, but I love to spritz this on my face throughout the day when I’m working on my graduate studies. If I find myself getting distracted, a little spritz of this beauty gives me an extra oomph I need to get back on track. With the dry and hot weather here in Nevada, a product like this is truly a must-have. I’ve seen similar products that are essentially just water that they sell for a good penny, but I feel better using this as it has essential nutrients that feed my skin throughout the day. This product is seriously unlike any product that I’ve ever tried before. I was SO excited to get my hands on it. I took a scoop and poured it into some boiling water and let the steam evaporate onto my freshly cleansed face. You can literally feel your pores open up and breathe in the aroma. This is beyond therapeutic, and is truly a special treat. I did this for a few good minutes and went on to complete my skincare routine. Note: I’ve been super congested this past week and it instantly helped with my sinuses as well. I haven’t done this yet, but you can repeat this same process in the bath. 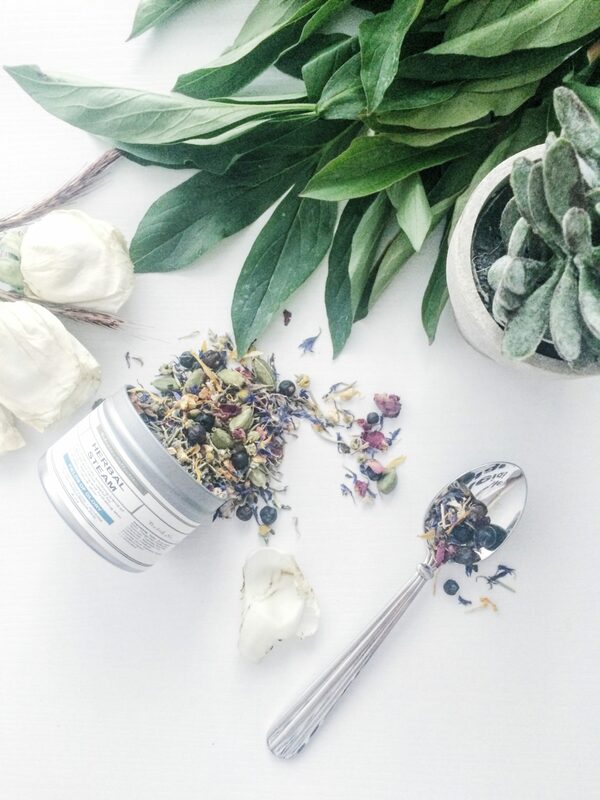 You can completely cleanse your entire body and open up your pores and take in the beautiful aroma. You can also take the boiled steam water and drench it in a towel and place over your face, or even on your hair. If you’re like me and haven’t had the opportunity to try an herbal cleanse yet – I highly recommend. It’s so soothing and really helps open up your mind and free unwanted stress. It’s truly a special treat. 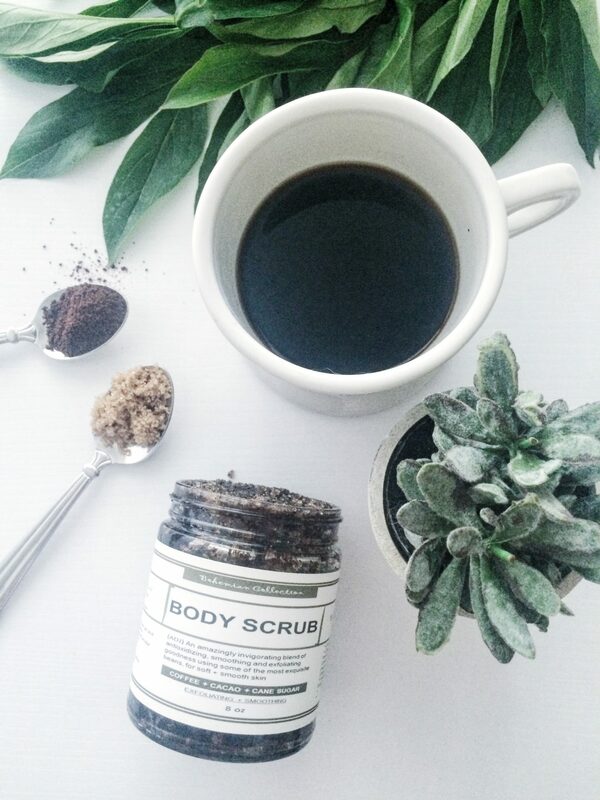 I have seen coffee scrubs online left and right, and I’m not going to lie — I’ve always been intrigued by them. A while back, I hopped on Pinterest and made a DIY version to see what all the hype was about. I mixed in coffee grounds, brown sugar, and olive oil… and well, I was a little underwhelmed. 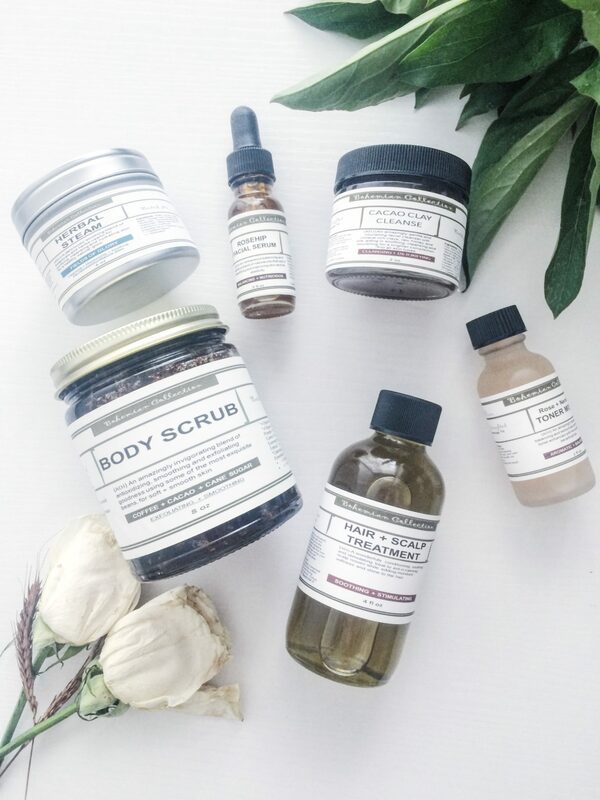 This particular scrub includes: fair trade coffee, organic coffee, fair trade cane sugar, organic cane sugar, castor oil, calendula, rosemary, vanilla, cinnamon, cacao, raw cacao powder, geranium, and anise. These extra ingredients make all the difference. Sure, you can go ahead and purchase all these ingredients separately, but you’ll save so much more money by just purchasing this product. This is my favorite part about Bohemian Collection. They blatantly list out the ingredients for everyone to see, because they don’t have anything to hide. Their ingredients are all-natural and hand-crafted. Why make it yourself when you can support a small business, while saving the time, energy, and money?! Plus, they’ve done all the research for us to ensure they have the best blends that are the most effective for various skin/body/hair types. I love to use this product before using a self-tanner, and scrubbing my problem areas by letting the caffeine in the coffee work its magic. This. Product. Is. Everything. When speaking with Dominique about which products I wanted to try the most – I knew I had to put this on my list. It’s not the “sexiest” of beauty products, but it’s absolutely essential in the dry climate of Nevada. It’s an embarrassing topic to talk about, but a dry scalp can be a total buzzkill. And let me tell you, I’ve tried it all. I’ve tried numerous specialty shampoos and conditioners, tea tree oil, peppermint oil – you name it. Nothing wanted to work on my dry scalp, so I couldn’t wait to give this a go. I essentially replaced this product with my regular leave-in conditioner. I felt a slight tingle in my scalp, which I knew it meant that it was working. After about 20 minutes, I rinsed off the product and washed my hair again to make sure to strip away the oily residue and couldn’t wait to hop out of the shower to check my scalp. IT’S A MIRACLE. My scalp was moisturized and was looking and feeling great! I honestly don’t think I can live without this product now. 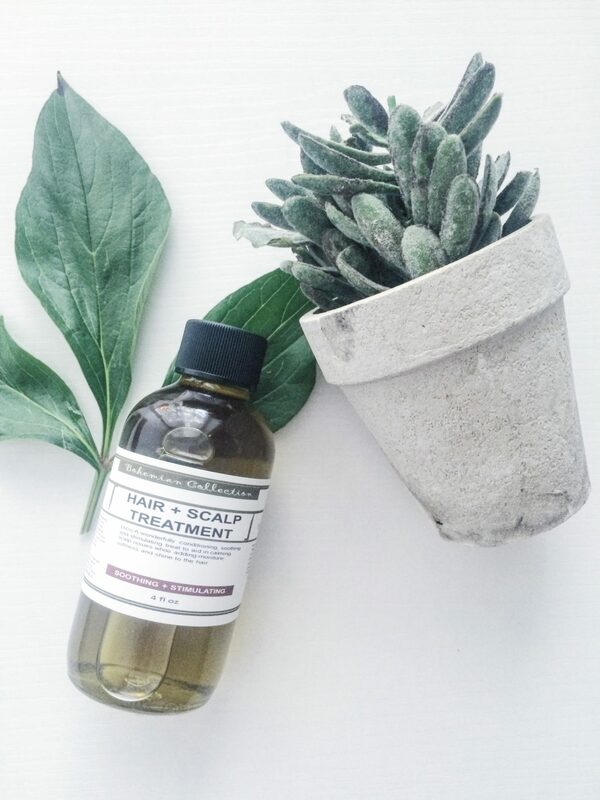 If you have problems with a dry scalp, it’s definitely worth a shot. At the price, you really have nothing to lose. With most of these products, a little goes a long way – so this will last you a while. 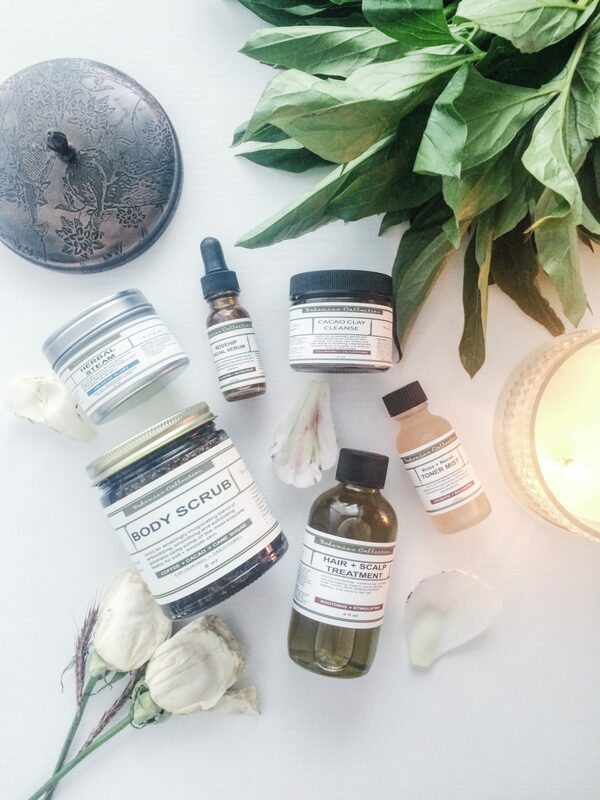 It’s amazing that these products are all-natural, hand-crafted, effective, AND beautiful! I absolutely 100% recommend that you try Bohemian Collection. They are the epitome of a luxurious indie beauty and Dominique is an absolute doll and will help you with any questions that you may have. If you have any questions on any of these products, feel free to shoot her an email at bohocollection@gmail.com. Her and her husband, Syeed run their business together and they’re truly the kindest souls. 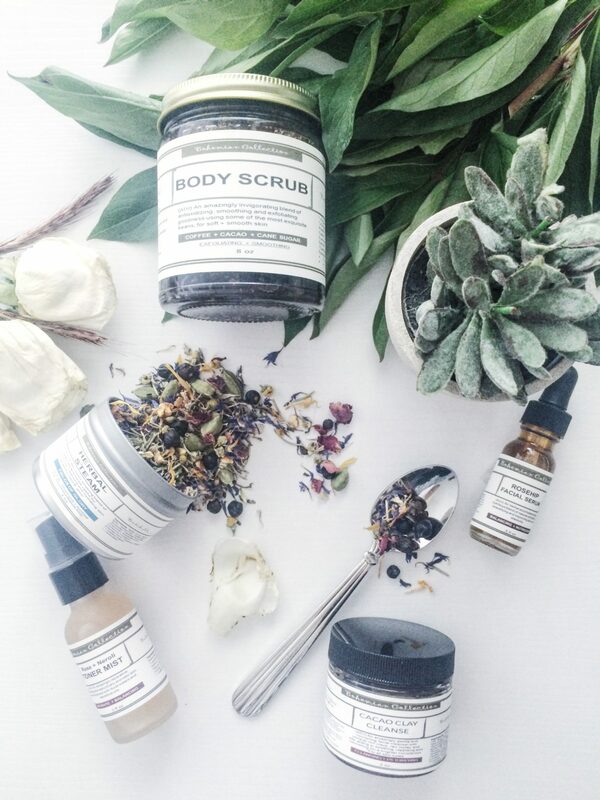 They package their products beautifully and their motto is “Healthy begins one natural ingredient at a time.” Swoon. They are an amazing dream team, and their products speak to that – ten fold! Thank you my love!! I had a blast trying out your products!